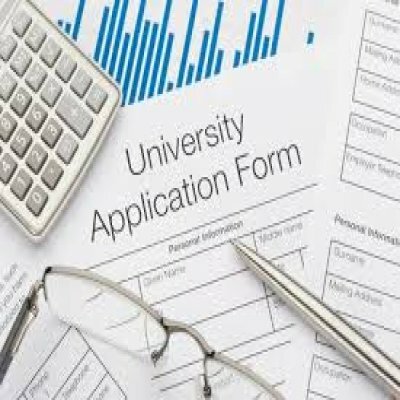 University of Ibadan (UI) has finally open doors for application to qualified students / candidates for the 2019/2020 academic session, 1st or second choice candidates who seek for University of Ibadan (UI), Admission 2019/2020 should see requirements, Application Process and be Ready for the Unified Tertiary Matriculation Examination. VERY IMPORTANT: The University of Ibadan (UI) Post UTME Admission Form for the 2019/2020 is not available at the moment…we will advice that you to stick around or better bookmark this very page once the UI Post UTME Admission Form 2019 is out this page will be updated immediately. While waiting for the University of Ibadan (UI) Post UTME Admission Form/DE Screening Exercise for the 2019/2020 see how it was conducted previously. The university website will be open on Monday, 16 July, 2018 to Friday, 17 August, 2018 for the submission of their bio-data and SSCE/NECO results online. The deadline for submission of bio-data / O/level results may not be extended. Therefore, any candidate whose bio-data are not submitted within the stipulated time will not be considered for the University of Ibadan (UI) Post-UTME Screening and admission. UI Post UTME Screening Eligibility. Candidates who have chosen University of Ibadan (UI), Ibadan, as their institution of first choice in the last UTME and scored the required cut-off point of 200. UI Post UTME Screening Exercise Schedule. The date for UI post UTME will be communicated to candidates through their email addresses and sms. Candidates are therefore advised to provide valid and active email addresses and phone numbers. The University will not take responsibility for failure to get information as a result of invalid email addresses and functional phone numbers. How to Obtain UI Post UTME Form. You are required to follow the procedure outlined below to obtain UI post UTME Form. Candidates are required to log-in to the Admission Portal (https://www.admissions.ui.edu.ng) using their Jamb Registration Number as their user name and their surname as their password e.g. 65345521EG OYEKANMI (Surname) Chibuzor Umar. A screening fee of N2,000.00 should be paid through the ADMISSION PORTAL in favour of University of Ibadan (Admission Processing Fee Account). Candidate’s Name, JAMB Registration Number, Telephone Number and E-mail address should be quoted at the point of payment. Upon successful payment, candidates should proceed on the portal to submit their bio-data and O/level results. Candidates should ensure that the on-line forms are carefully filled, following ALL necessary instructions, as “mistake(s)” may lead to disqualification. Please fill the on-line forms in CAPITAL letters only. Candidates are expected to upload their passport photographs and signatures. The image format for the passport and signature is JPEG and must not exceed 50kb. The photographs must be clean and clear without glasses and cap/head tie. Candidates are then to print-out evidence of completion of transaction and keep for further reference. An online help desk platform on http://www.admissions.ui.edu.ng/helpdesk will be available to handle all genuine enquiries. Thank you so much for taking a Tour on this post (University of Ibadan (UI), post utme admission form 2019/2020 academic session) we have take time to officially dish out Top Information and Now it’s turn to show us a little gratitude. Help us spread the information by making use of the sharing button Below, and don’t forget to subscribe to get great News and other Information, we wish you success in all your endeavors…Stick around for more Info.